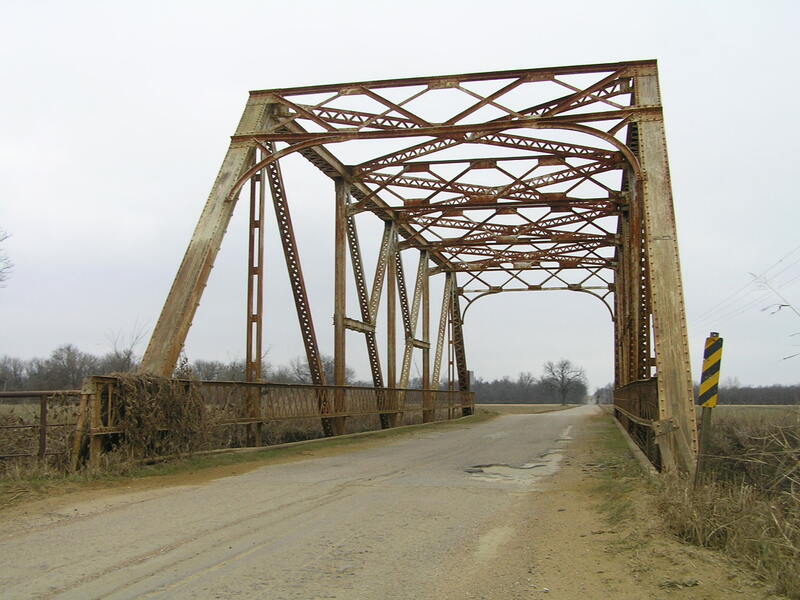 Above, this bridge, a modified riveted through Pratt, was built or moved here in 1946. 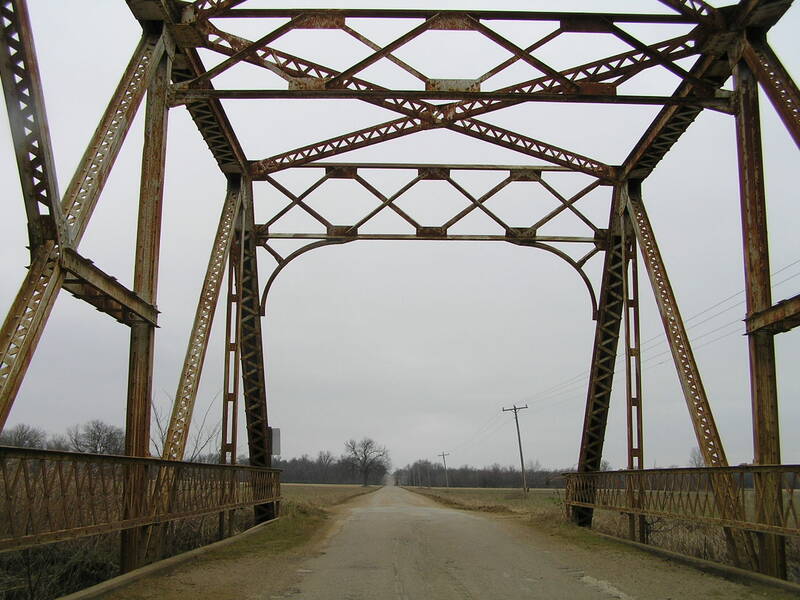 It is 100 feet long, and features an 18-foot wide concrete deck. 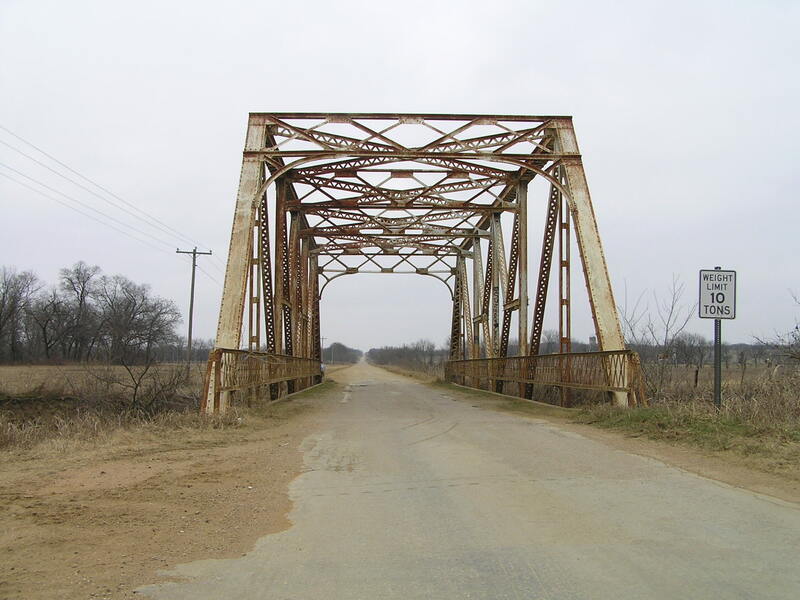 It is very typical of bridges built in the 1920's and early 1930's, hence the speculation that it was moved here.. Below, an angled side view. The fact that the bridge isn't surrounded by vegetation makes for some unique views. 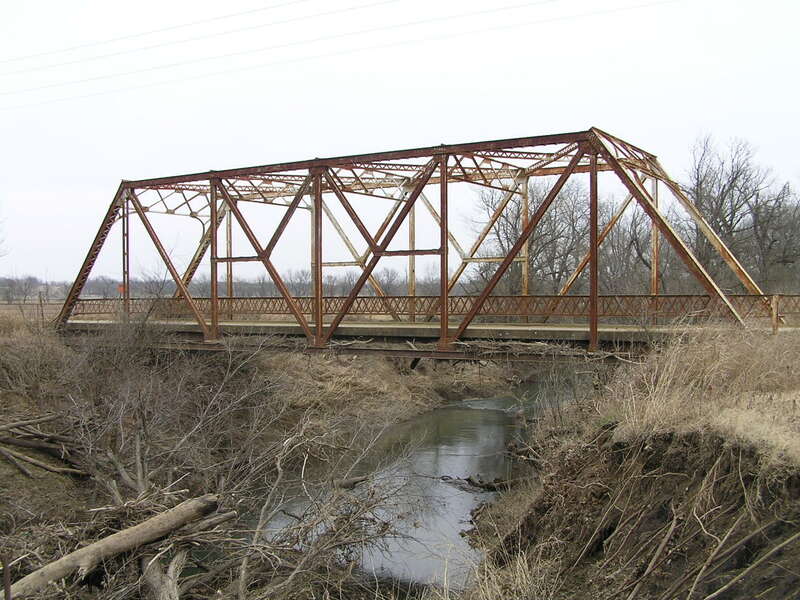 Above, a side view showing the distinct arrangement of ties and struts added to the basic Pratt truss design. Below, sway bracing and back view of portal. 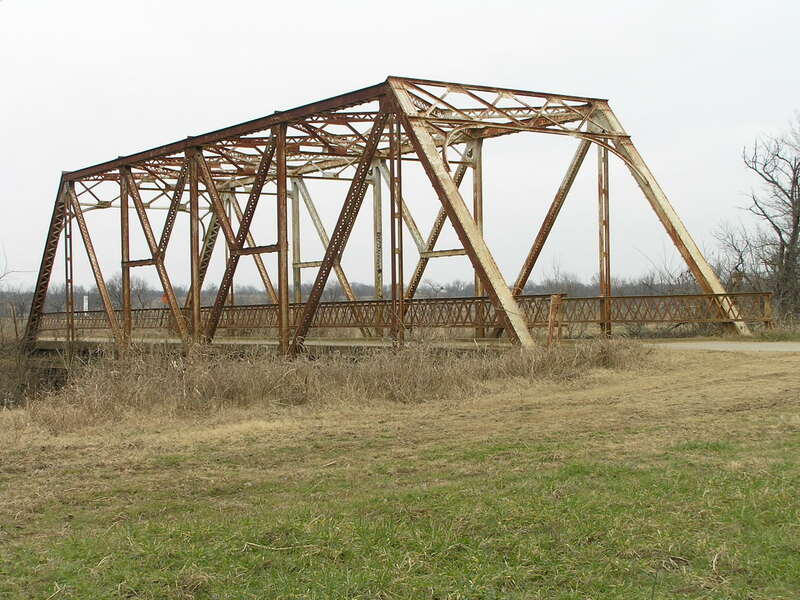 Above, middle panels of the truss showing the ties and struts and general details of the bridge. Below, a view looking south through the span. 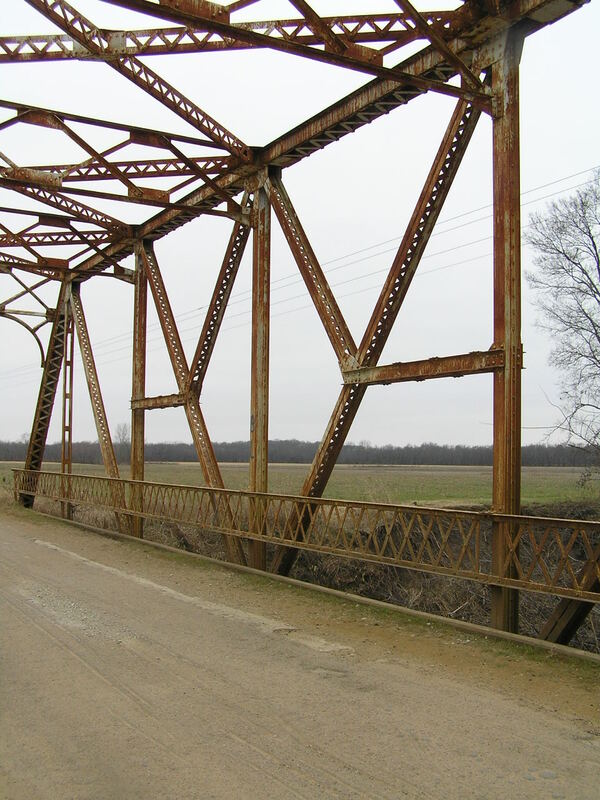 This bridge stands on a back road between Tupelo and Clarita.